Pamela was born in South Africa, where she obtained undergraduate and post-graduate degrees in Psychology, Teaching, and Counseling. During motherhood her children developed severe allergies, and life-threatening asthma. Dissatisfied with the answers presented by allopathic physicians, she sought out additional education. At Lindlahr College of Natural Therapeutics she earned a doctorate in Homeopathic Medicine. She also studied yoga, and became a teacher, as well as a teacher of Transcendental Meditation™. After working with the California Clinic of Preventive Medicine she continued her studies, and earned Board Certification in Oriental Medicine, completed a Master of Science in Traditional Oriental Medicine, and is a licensed and practicing Acupuncturist. For a decade she taught at PCOM (Pacific College of Oriental Medicine. She also co-authored a Stress Management Program together with Dr. Steven Brody M.D. and Dr. Michael Lydic M.D. Today Pamela loves serving Good Gut Solution clients from around the world. In her spare time loves practicing yoga, painting, photography, traveling and hiking. Steven A. Brody, M.D., Ph.D. is a Reproductive Endocrinologist and internationally-recognized clinical specialist, lecturer and researcher in nutritional genomics, anti-aging, menopausal medicine and neuroendocrinology. His primary interest is integrative medicine and all types of hormone therapies. Dr. Brody obtained his Bachelor's degree from Brown University in Providence, RI and then graduated from Washington U. School of Medicine in St. Louis. He is the only physician in the U.S. who is Board Certified in all four specialties of Internal Medicine, Endocrinology & Metabolism, Obstetrics & Gynecology and Reproductive Endocrinology & Infertility. He trained at both Yale-New Haven Hospital, N.I.H., Stanford University School of Medicine and Baylor College of Medicine. Historically, Dr. Brody has served in both leadership and advisory capacities. He was Associate Director of Reproductive Endocrinology at Baylor, Director of GYN Surgery at Ben Taub Hospital in Houston, Vice Regent of the International College of Surgeons, and Medical Director of Reproductive Endocrinology at Alvarado Hospital in San Diego. Dr. Brody has served in the military as a Lieutenant Commander (surgeon) in the U.S. Public Health Service. He also served as President of Phi Beta Kappa Epsilon Association in San Diego. Dr. Brody was previously appointed as an Assistant Clinical Professor in the Division of Endocrinology & Metabolism at UCSD School of Medicine in La Jolla. 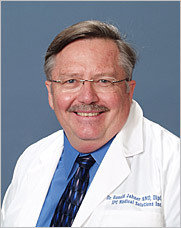 He is also a Staff Physician at Alvarado Hospital and emeritus at Scripps Memorial Hospital in La Jolla. Dr. Brody has written two textbooks. His first book, “Endocrine Disorders in Pregnancy” was written with Dr. Kent Ueland, Chairman of the Department of OB-GYN at Stanford University School of Medicine. His second book, “Principles and Practice of Assisted Human Reproduction” was written with Professor Robert Edwards of Cambridge University. Professor Edwards received the Nobel Prize in Medicine in 2010. Dr. Brody's most recent book, "The One Minute Health Miracle," is a very exciting, fast-moving read. It details the methods used throughout the ages for long-lasting health. On a personal level Dr. Brody works endlessly with a wide circle of friends, colleagues and other professionals, not only for personal gain but for the main purpose of helping mankind. Dr. Brody has touched the lives of countless infertile couples who are proud parents as a result of his efforts. He has lectured on four different continents, and he has developed an eclectic array of interests in both his personal and professional life. He is the proud parent of two children, Katie who is an attorney in London and David who is high school. Dr Brody is available for telephonic and Skype consultations. He can help you select the right laboratory tests to gain further understanding of your condition. Dr. Ron was one of the initial practitioners at Ecology Health Center. He has over 30 years of experience in clinical nutrition and natural therapies. He has participated in thousands of hours of post-graduate medical training and holds numerous certifications in a variety of healing disciplines. This includes applied kineseology, clinical nutrition, mental health, oriental medicine, acupuncture, pharmacology, homeopathy and botanical medicine. He has extensive experience in cooperative integrated therapy in hospital environments and medical clinics. He works with medical doctors, chiropractors, and other health specialists in developing innovative therapy protocols, individualized for metabolic management of the seriously ill. He travels extensively, teaching and consulting with private clients. Tammy was born in South Africa, and fell in love with California when she moved to the United States. 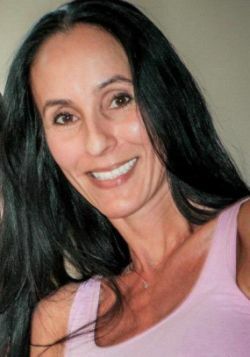 She loves the ocean, keeping fit, spending quality time with her siblings and riding beach cruisers on the boardwalk with her two vivacious children. You can find Tammy perfecting her healthy cooking, though not yet as good as another excellent chef in her family, her Mom.